Space telescopes can be roughly categorized into groups based on the frequency ranges/wavelengths that they can measure or collect. Hopefully, this list will help you better understand the different types of telescopes and what they are used for. There’s also a well-known example in each category for a starting reference point to further reading. These telescopes focus on light and create magnified images or photographs of objects in space. They can be used from Earth to observe visible light waves from space, but when used in space they provide higher resolution images. They’re primarily used for observing planetary nebulae, galaxies, and most commonly, stars. A popular example: Hubble Space Telescope (1990 – NASA) – this has been used to make ground-breaking observations and discoveries with its stunning images from space, e.g. observations of the life cycle of stars and the scale of the universe. These are used to observe ultraviolet wavelengths from objects that emit ultraviolet radiation, e.g. the sun and stars. Ultraviolet wavelengths are absorbed by the Earth’s upper atmosphere so all observations have to be made from space. A popular example: GALEX/Galaxy Evolution Explorer (2003 – NASA) – used to make observations that contribute to the understanding of the formation of galaxies; this telescope has made images of at least two thirds of the sky! These are used to observe infrared light that’s emitted by cooler objects, so astronomers are able to gain information about cooler stars, nebulae, etc. Infrared radiation is mostly absorbed in the Earth’s atmosphere, so observing it from Earth is very difficult even at high altitudes, and is best done from space. A popular example: Spitzer Space Telescope (2003 – NASA) – this telescope was the first ever to observe light from an exoplanet! These have special detectors to collect and measure gamma rays (high energy electromagnetic radiation). Gamma rays are blocked by the Earth’s upper atmosphere, so these telescopes must be operated from space. They are often used by astronomers to learn more about solar flares, galactic nuclei, etc. A popular example: Fermi Gamma-ray Space Telescope (2008 – NASA) – this has been the most useful telescope to observe gamma-rays to date, helping astronomers to create a list of the top 5 gamma ray sources in space! These make it possible for scientists to observe unimaginably hot objects – atoms emit x-ray photons when they collide, and the telescope records these emissions. Because x-ray wavelengths are blocked by the earth’s atmosphere, they have to be operated from space. Astronomers often use these telescopes to learn more about galactic nuclei, supernovas, stars, etc. 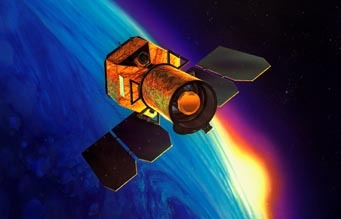 A popular example: Chandra X-ray Observatory (1999 – NASA) – this is the world’s most powerful X-ray telescope and has been the source of tonnes of information on previously undiscovered black holes, etc. These telescopes are mostly used to measure galaxy clusters and cosmological parameters, among other things. A popular example: Planck Observatory (2009 – ESA) – this telescope looks for the remnants of the Cosmic Microwave Background (the first light to ever shine freely in the universe); it’s hoped that it will uncover some of the mysteries of dark matter and dark energy! 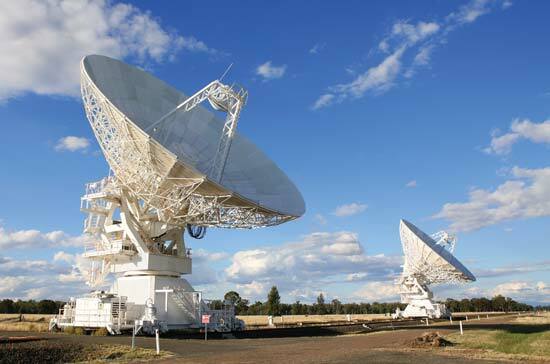 These are often used in space in combination with other types of telescopes. They are often used in the observations of supernova, star-burst galaxies, etc. 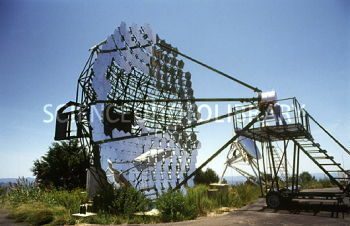 A popular example: STEREO (2006 – NASA) – this is a visible, Ultraviolet and Radio telescope. It studies the sun and solar eruptions which are hoped to uncover the causes of magnetic disruptions on Earth! Hopefully this list will act as a starting point that will help you make more informed research into various different topics related to telescopes!